In today’s world with record low interest rates, low yielding bonds and volatile stock markets what options are available that can provide reliable and attractive returns? For a long time now investment in Thailand’s property market has provided investors with attractive, secure and stable returns in the form of both capital gains through increases in property values and income from rental yields. Return on Investment (ROI) on Thai Real Estate is exceeding 10% per annum. With land values increasing more than 300% over the past decade (source: Phuket Provincial Treasury Office (PPTO)) and current HPI (House Price Index) at 6.8% (source: BOT) real estate in Thailand is experiencing High capital appreciation. Rental returns are averaging 5% a year, with returns of 7% up to 10% certainly achievable and thus providing property owners with a stable income. As well as high returns, Thailand’s real estate when compared globally offers excellent value as shown by the two charts below. The market here has lower mortgage debt levels than other countries, this is because foreign investors cannot secure loans against property here and Thai banks are more conservative regarding lending than financial institutions in the west. This has a major effect on the market here, as lower mortgage debt levels leads to greater price stability, lower risk and reduces the potential of a market bubble forming. Thailand has very low property transaction costs: transfer taxes range from 1.1% up to a maximum of 6.3%. This is compared to other countries in the region which such as Singapore where currently foreign property buyers face an additional 15% stamp duty levied on them. In Hong Kong last year stamp duties for foreign buyers increased to an eye watering 30%, Tapei unveiled a punitive divestment-gains tax of a whopping 45% last year and further afield countries such as Australia and Canada have recently raised the transaction costs for foreigners to own property in a bid to cool their vastly over heated property markets. Thailand also offers property owners the added benefit of having no annual property taxes which means huge savings for owners. Owning a $1m USD property in the US would likely result in an annual tax bill of $24,000 USD, which is $720,000 over a period of 30 years, ouch, here in Thailand that tax bill would be zero (Paul Renaud: Thai Stocks). Like many other countries in Asia, Thailand does not allow foreigners to own land freehold. However Thailand is well ahead of many of its neighbours in terms of clear laws which allow foreigners to legally own property here. 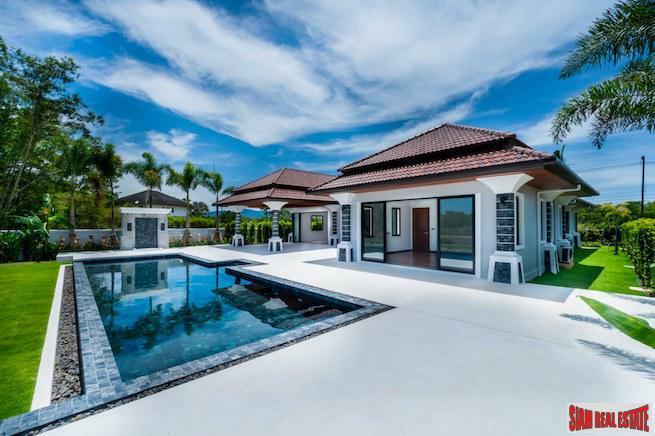 Thailand’s property market is developing fast and with it all the essential services that make buying, selling and owning property in a country simple, straight forward and hassle free. There are numerous, very professional, international and local Real Estate Brokers and Law firms to assist with the buying and selling process. 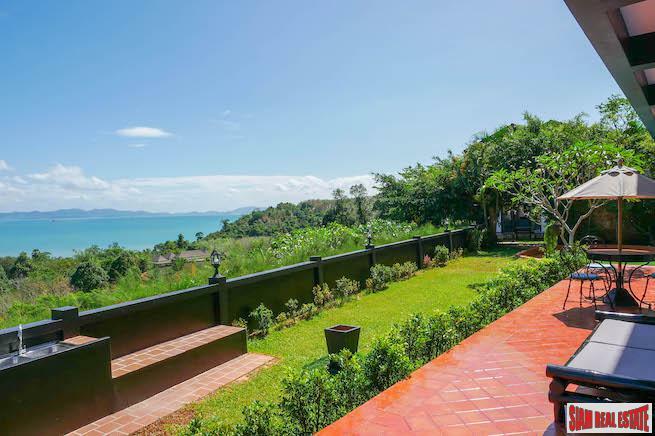 Agents in Thailand are able to market your properties for sale and rental internationally and the law firms here provide buyers and sellers with the confidence that their investments are financially sound. Property transactions in Thailand can be very quick with sale and purchase being completed within weeks of an offer being accepted. First class management services including resort managed properties offer property buyers hassle free ownership with peace of mind that their investment is being maintained well in order to keep its maximum value. 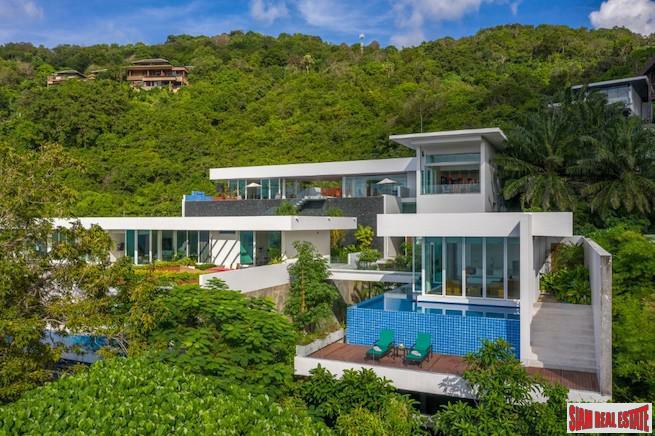 Thailand’s property market and general economy in the last 3 years has experienced a growth slow-down, largely stemming from political uncertainty, lower oil prices and the after-effects of the European and Russian economic crises. A decline in visitor arrivals was short-lived and has since recovered and then some. Thailand’s property market will continue to attract international investment and operate as a financial and travel hub for the entire region’s continued expansion. Thailand offers property buyers Quality Properties with international building standards and Large Choice with many different property types, locations, price ranges. Thailand’s economy has experienced stable growth: despite setbacks, Thailand’s economy has proven to be very resilient with growth far outstripping western economies. Thailand’s economy is export driven making up approximately 65% of the country’s GDP. The manufacturing sector continues to evolve towards higher value-added technological products and has a dynamic auto industry. The tourism sector is very strong in Thailand as the country now enjoys strong growth in airport arrivals with 32.5m foreign tourists achieved in 2016. With International Airports at Bangkok and Phuket expanding and offering direct flights from China, the Middle East, Russia, Europe and Australia, in addition to Asean hubs. The outlook for the economy is positive, with the aim of moving from an upper-middle income country to a high income country. The current government has just initiated a Billion dollar Infrastructure investment covering rail, roads, air transport and ports throughout Thailand. The country already boasts first class health care and international schools. Thailand became an upper-middle income economy in 2011. Notwithstanding political uncertainty and volatility since 1970, Thailand has made remarkable progress in social and economic issues, moving from a low income country to an upper-income country in less than a generation. As such, Thailand has been one of the widely cited development success stories, with sustained strong growth and impressive poverty reduction, particularly in the 1980s (Source: World Bank http://www.worldbank.org/en/country/thailand/overview#1). Investor / business friendly and open to FDI: Thailand is very open to foreign investment in its economy and whichever government is in power all political sides are business friendly and dedicated towards improving Thailand’s economy. Stable and strengthening currency: Since the Asian Crisis in 1997-98 the Thai baht has recovered against major currencies and the appreciation of the Thai baht has been good for investors.